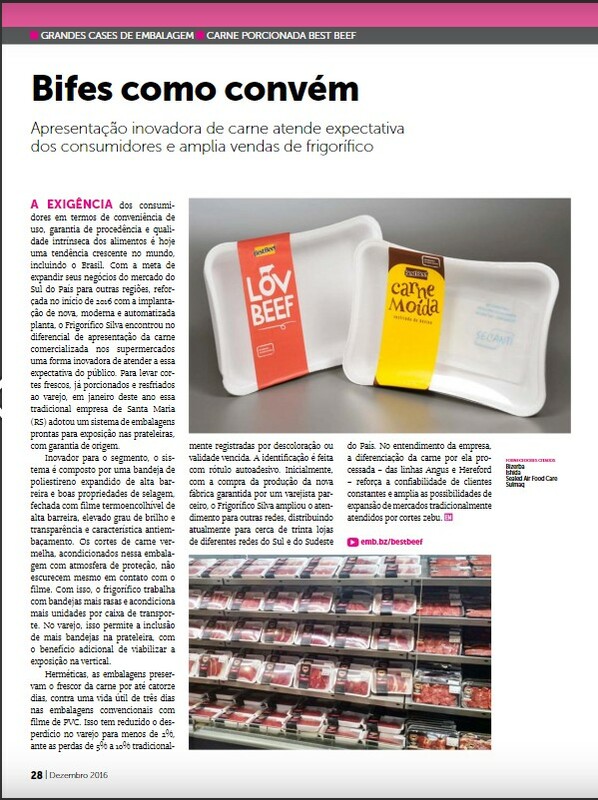 Secanti food pads in "Embalagem Marca" 208th edition, December 2016, page 32. Innovation in meat presentation satisfy consumer expectations and increase sales for meat producer Frigorifico Silva. 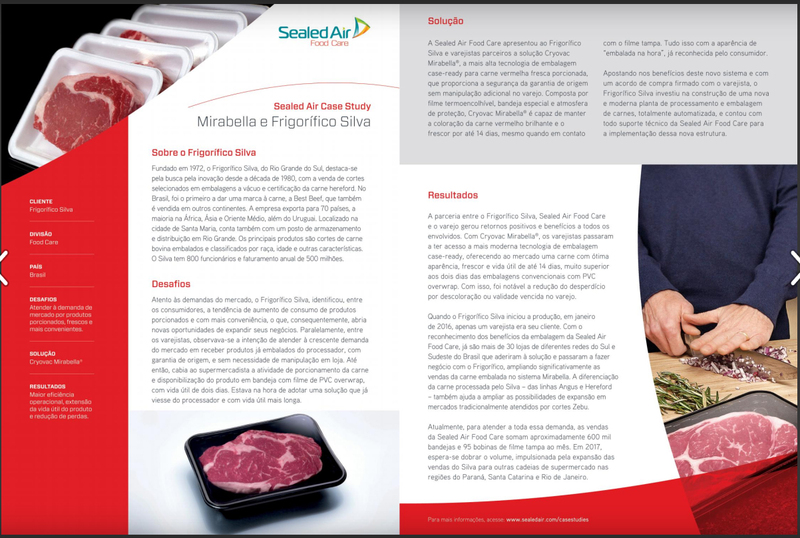 The pad is used in Sealed Air trays to absorb liquids.